This is a sample collection of No Prep Sight Words Activities. 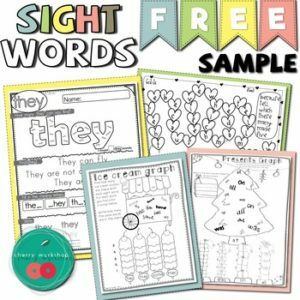 They all come from sight words resources in my store. If you come to like any of them and would like more, you can follow the links below. Most of the resources are available in various levels – find the links to single levels in the bundles descriptions. Or you can use just the pages included here :). And I’ll be adding more sample pages to this for new no prep sight words resources I create!